So my original goal was to work on my Long Time Gone project a little bit at a time. Maybe a block a week, a section a month, something along those lines. But once I got started I figured out that this wasn't really the type of project I could easily work on every now and then. A lot of the blocks need strips and squares that are not efficient to just cut for one block at a time. So once I got started and was on a roll I figured I would break this project down into 3 projects. The projects consist of two piecing projects and one assembly project. The first piecing project is done. Here are all the blocks for Sections 1 - 4. I enjoyed piecing every block, a couple of blocks were first timers for me, like the Trip Around the World block and the Crosses of UK blocks. I changed up the Jacobs Ladder blocks but other than that it's pretty much just like the pattern. I've now packed everything up into a couple of projects boxes and plan to finish piecing Sections 5 and 6 this summer. Then I'll assemble it all this fall, easily making my Year of Thelma deadline. 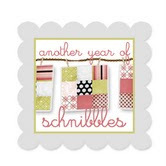 And speaking of The Year of Thelma, are you still planning to join my Miss Rosie Quilt Co sew along? 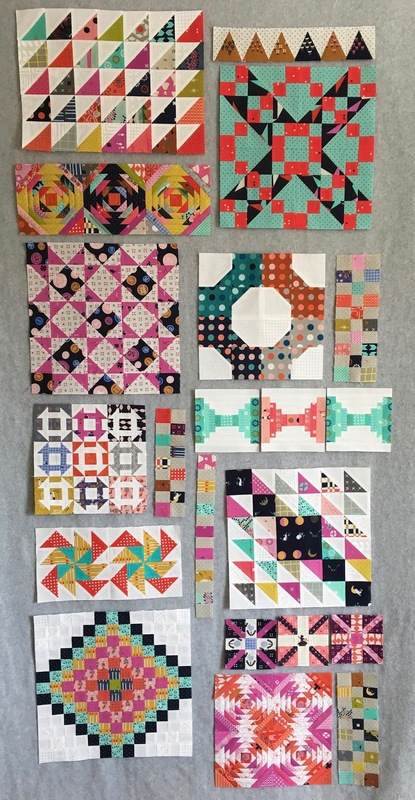 I happened to notice that I am getting very close to Lifetime Quilt Number 200, and thought my Due South sew along quilt would be a perfect 200th quilt, so I'm going to finish a couple projects before I start my Due South, but don't let that stop you from starting, and be sure to send me your progress updates. So next up is this project, which has been on my To Do List for over a year. A perfect project for spring I think. The pattern Dash is by Heather Jones and available here. I'm thinking these nice prints by V and Co for Moda would look great in that pattern and fit my need to work with spring colors. Since spring visited us shortly in February but has now disappeared I guess I need to get my spring fix inside instead of outside. Long Time Gone is wonderful! Oh, my, I've plumb worn out the shakers on this project! Good job, Miss Thelma! OMG...."Long Time Gone" is really coming along and what a great start to your project. 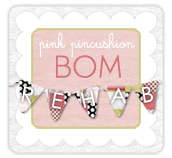 Guess you will have this done in no time as it sounds like it could be very addicting. 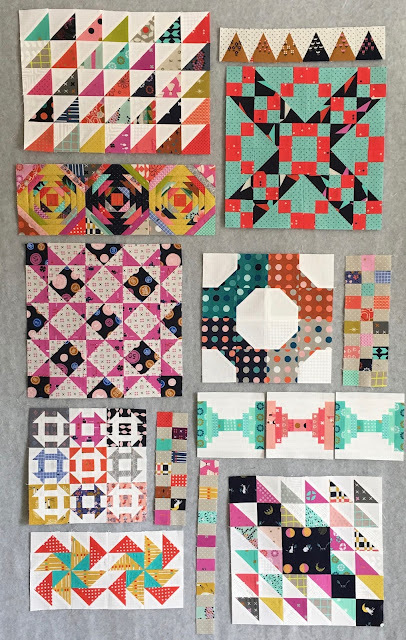 Love your progress and looking forward to the next phase...I am getting ready for the sew along and gathering and reading directions for this project! Holy smokes, Thelma! You got a ton done on LTG!! Was your machine smoking after those blocks? LOL I love both sets of pineapple blocks. Have a fantastic weekend! 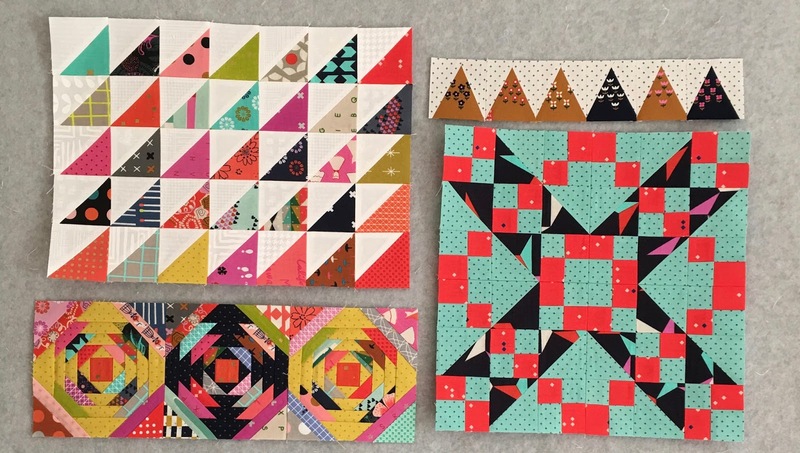 I love your LTG blocks and I'm a bit sad that you stop making them now because I love your blocks so much! 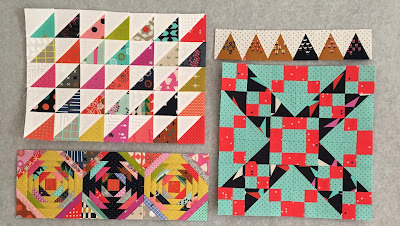 Did you realise that the HST block is in the pattern different then on the finished quilt? I didn't see it first too it's a wrong graphic in the pattern but it's something too stress over but I thought I let you know. Great that you decide to wait with the Miss Rosie sew-along I first have to finish some other patterns too. Again, thanks for the Miss Rosie book. I too want to do Due South so I will try to sew along too.....I'm thinking red and white! (as if I don't have enough red and white quilts). I am working on a wedding quilt that needs finishing by the end of next week because then i'll be on a cruise for a week but away for 10 days.... Keeping hubby busy in his retirement is proving to be a lot of traveling, which isn't a bad thing but it is detrimental to my sewing! I don't have any other "must do quilts" this year so I'll be joining you. OH....and Long Time Gone is a BOM i'm doing as well but with monthly kits coming from Homestead Hearth so that one will be an all summer thing. Will be back in NJ tomorrow so I'll start pulling my fabrics so I'm ready for Due South time! Great fun watching Long Time Gone progress. I admire Jenn Kingwell's design and use of color but as of yet have only purchased two of her patterns. Your fabric selection is really working well. I look forward to more installments. I just recently discovered the "Long Time Gone" pattern so am thrilled to see your progress on it. 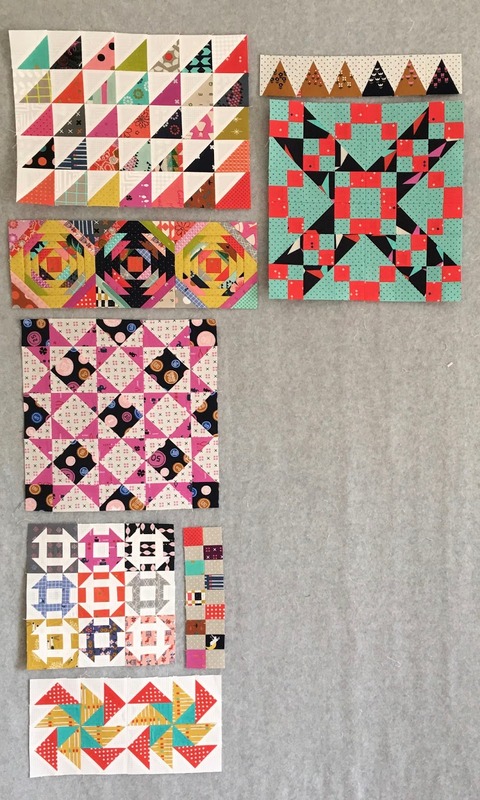 Beautiful blocks! I'm resisting it for now because I still really, really want to do her "My Small World" quilt. But I'm pretty sure watching you work is going to push me over t h e edge on this one!